HissTank › Compatible Military Toys › Larry Hama Action Figure Revealed At DesignerCon! 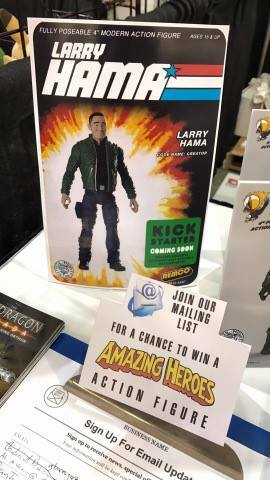 Larry Hama Action Figure Revealed At DesignerCon! Move over, General Hawk. There’s a new leader at the head of our G.I.Joe shelves! Remember that New Figure Reveal from Fresh Monkey Fiction & Zica Toys that we mentioned yesterday? 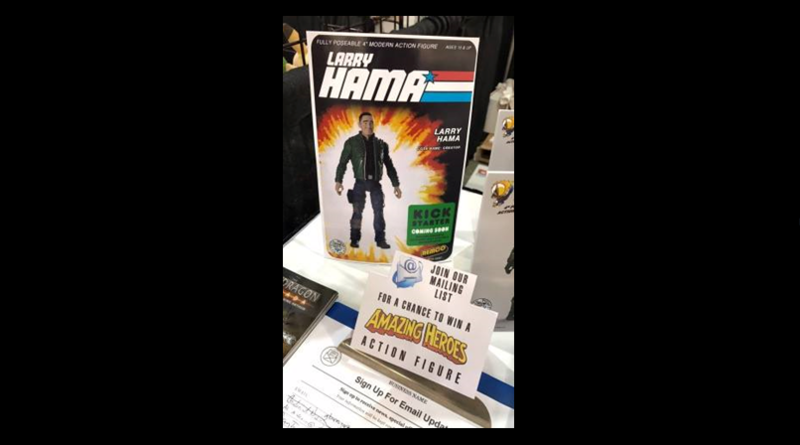 Well, that action figure is none other than the Godfather of G.I.Joe, Mr. Larry Hama! Fresh Monkey snapped this quick pic for us from their booth at DesignerCon (Booth #1024), but we’ll have an official image for you all later on this weekend. 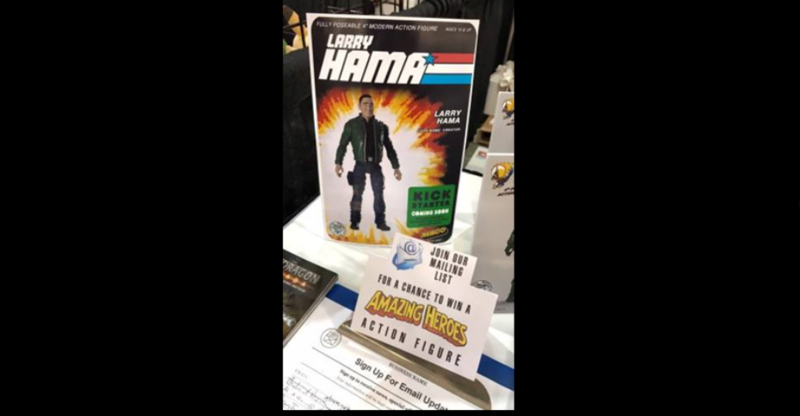 Are you excited for the opportunity to add a Larry Hama action figure (via Kickstarter) to your Modern Army Action Figure collection? Sound off after the break!